Dyan Reaveley WORD LOVE Stamp Set Dylusions Cling Unmounted Rubber at Simon Says STAMP! DYR34629 / 2.8 This item is on reserve until If you would like to reserve this item now, you may purchase it now with the rest of your order. We will hold your order now and ship your entire order as soon as this item is back into stock. If you would like your order to ship now, please place this item on a separate order. Success, Dyan Reaveley WORD LOVE Stamp Set Dylusions Cling Unmounted Rubber has been shared! This NEW stamp set has thick foam with deeply etched rubber. The rubber stamps that can cling mount to any clear acrylic block (clear blocks are not included in this sale, but are available through our store!). What a space saver! 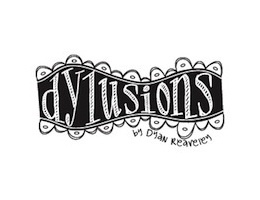 They are part of a line of stamps designed by Dyan Reaveley. Check out our store for coordinating items like tags, ink, art parts, die cutting plates, even perfect pearls! The stamps are also neatly trimmed, deeply etched, magnificent quality and made in the USA. The stamp sheet measures approximately 7 by 8.5 inches.